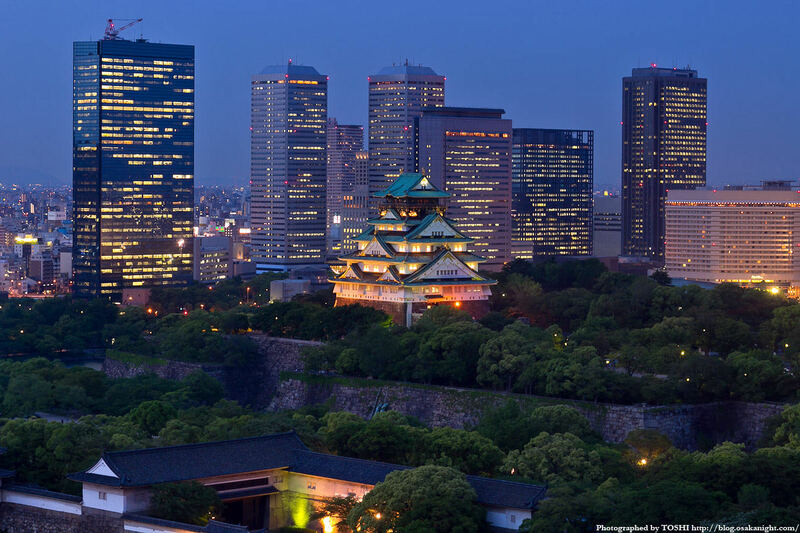 The Osaka Castle Park is a large park (the second largest) that surrounds the Osaka Castle, one of the most famous attractions of the city. Around the park you can find a number of minor buildings belonging to the old castle and various other points of interest. 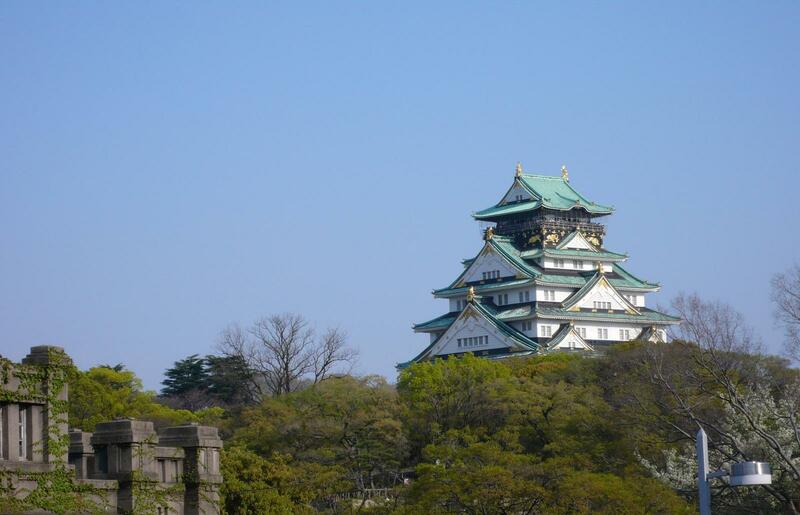 The main building (Main Tower) of the Osaka Castle is a beautiful sight but devoid of any historical value. In fact, although the foundation of the castle dates back to 1583, its tower was destroyed several times throughout history, and the current one is a reconstruction completed in 1997. The exterior was designed in the style of the ancient castle of the Edo period, while the interior features modern and functional spaces to house a museum. The museum is mainly dedicated to the castle and of course its founder Toyotomi Hideyoshi. From the eighth floor of the structure you can enjoy a beautiful view of the city. A part of the extensive grounds of the castle is occupied by this enclosed garden with an entrance fee, it is located precisely west of the tower, between the inner moat and the outer moat. 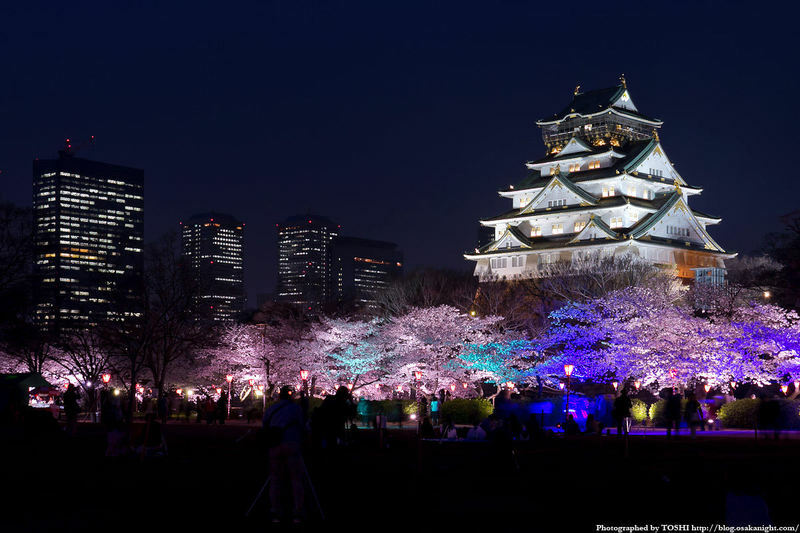 The interior mainly consists of lawns and about 600 cherry trees, that make this place one of the best of the city during the flowering period (hanami) in spring, during which it often remains open in the evening. A small Shinto shrine in the southern part of the park, there isn't much else to say. 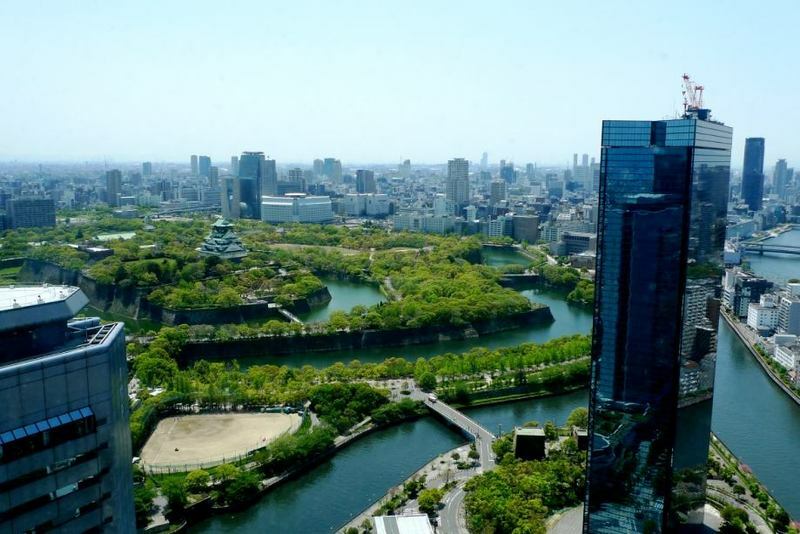 It is dedicated to Toyotomi Hideyoshi and was built in 1879 by Emperor in the area of Nakanoshima, and was moved to the current position in 1961. This museum is located in front of the park, in the south-west, in a tall modern oval building. The museum itself is set up between the 7th and the 10th floor, and must be visited by following a path downward: from the first floor, where there is a gift shop and a restaurant, you take a lift to the 10th floor, and from there you begin to go down. As the name suggests, it is dedicated to the history of the city. Inside there are numerous life-size reconstructions of scenes and buildings of various ages. From the upper floors you can also enjoy a beautiful view of the city, particularly of the castle with the skyscrapers of the Business Center in the background. The Osaka Business Park is a "cluster" of skyscrapers built right next to the park of the castle, where there are numerous offices and headquarters of major companies. In this area there is not much to report, in addition to the several skyscrapers and futuristic buildings that make a certain "impression", especially at night when the lights come on. Inside the Matsushita IMP Building there is the International Market Place, a shopping center with many shops of foreign brands and ethnic restaurants. Another interesting construction are the two towers Twin 21, which house the branch of Osaka of the Panasonic Center and the Panasonic Living showroom (that are located in Tokyo respectively in Odaiba and Shiodome). From one of these two towers, the MID Tower, you can enjoy a panoramic view free of charge. This area is a little distant from the "liveliest" corners of the city (Namba and Umeda, 20-25 minutes away by metro), it is a bit uncomfortable to stay because once you have visited the area of the castle you have finished, you should always move. I just recommend the Carpe Diem Inn, a small traditional Japanese style guesthouse (few rooms) surrounded by a beautiful garden, it seems a good experience, maybe for one night. Some modern hotel can be found, however, between the skyscrapers of the OBP, for example the New Otani (medium-high range) or the Monterey La Soeur (mid range). This area must necessarily be reached by train from the most popular areas of the city where you are probably staying, both from Namba and Umeda, as the crow flies there are more than 5 km. The nearest stations are Temmabashi station (Tanimachi line of the municipal subway) in the north-west, Morinomiya station (Chuo line, Nagahori Tsurumi-ryokuchi line of the municipal subway, JR Osaka Loop line) in the south-east, Osakajokoen station (JR Osaka Loop line) in the north-east. In the heart of the OBP, there is instead the Osaka Business Park station, served by the Nagahori Tsurumi-ryokuchi line.